Summer is here and I'm seeing more cover-ups than ever. I created this strappy dress from a t-shirt. It's simple but with a modern twist. It took me a good 10 minutes to complete. Get the details below and make your own! Use a large v-neck t-shirt. 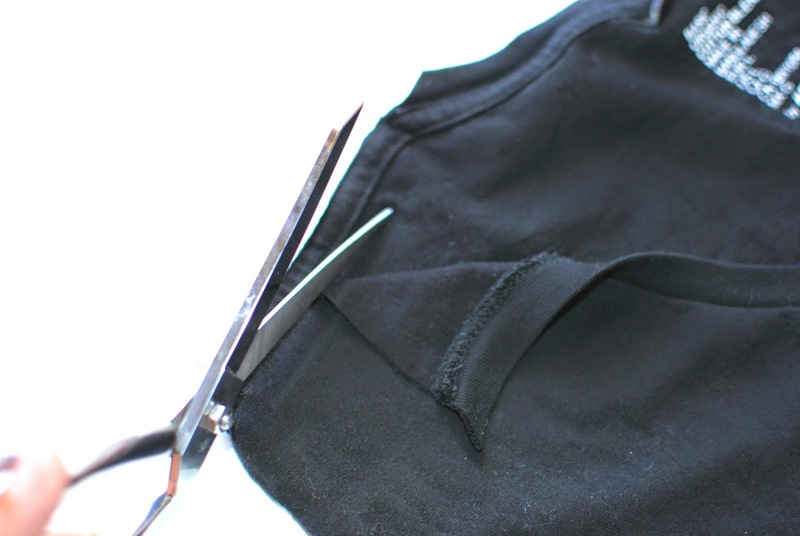 Remove the sleeves and then cut the shoulder seams apart. Remove the back collar and cut it to be straight. 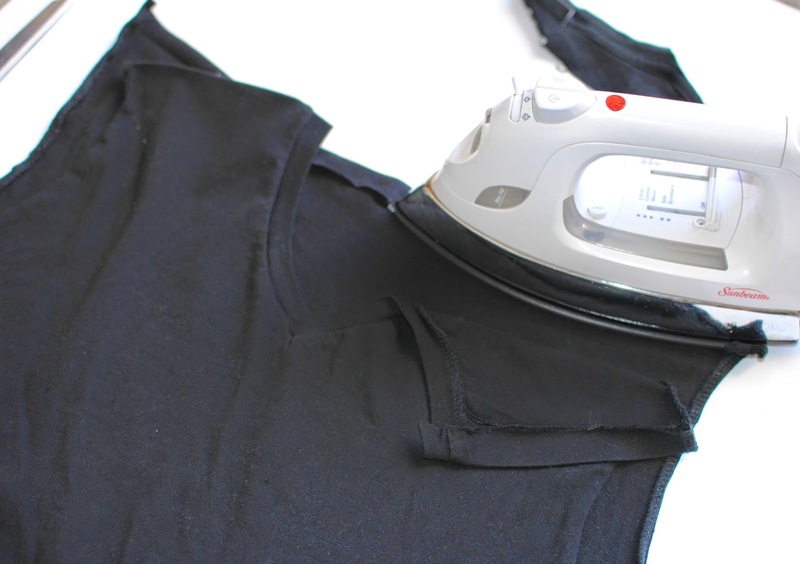 Fold over the back neckline 1/2" toward the wrong side and press. Repeat for the shoulder seams. Top stitch the folds just above the raw edge to create a casing for the drawstring. Use a long string (2 yards) and safety pin to weave through the casing. Knot the ends together when done and hide in one of the casings. One set of strings is a halter and the other is for the shoulders. I created the twist back by adding another shorter string and knotting it to the shoulders. Other wise the inner loop is for the halter part and the outer is for the shoulders. You can twist and play around with the string to create your own look. If you want to add some extra shape, just add an elastic waistband to the middle by top stitching it on the inside along the waistline. We really like it, the shirt and your hair ;) It is a good idea, and easy!! 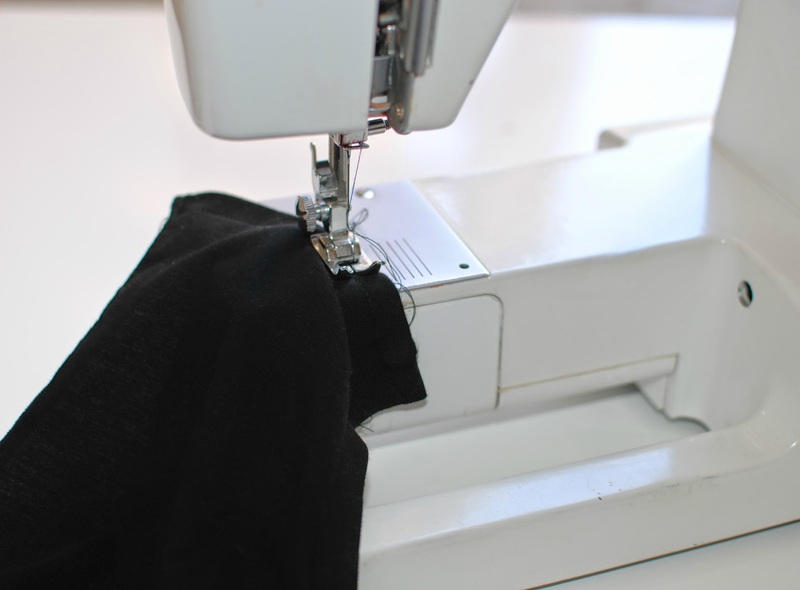 Do you use a regular sewing machine for most jersey fabric projects, or do you use a serger? This is a great idea! I'm going to do it tomorrow! Music applications are flooding in the market yet some of them are paid while others don't give enough music or sound substance yet as we realize that there is dependably an exemption and comparatively, spotifypremiumapk is a special case.